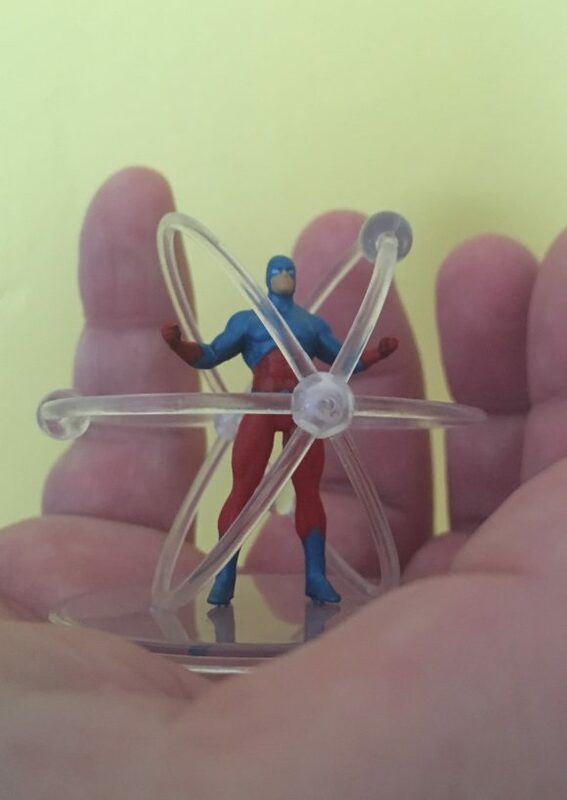 Checking out Superman, Aquaman, Atomica — and the best Atom action figure ever. 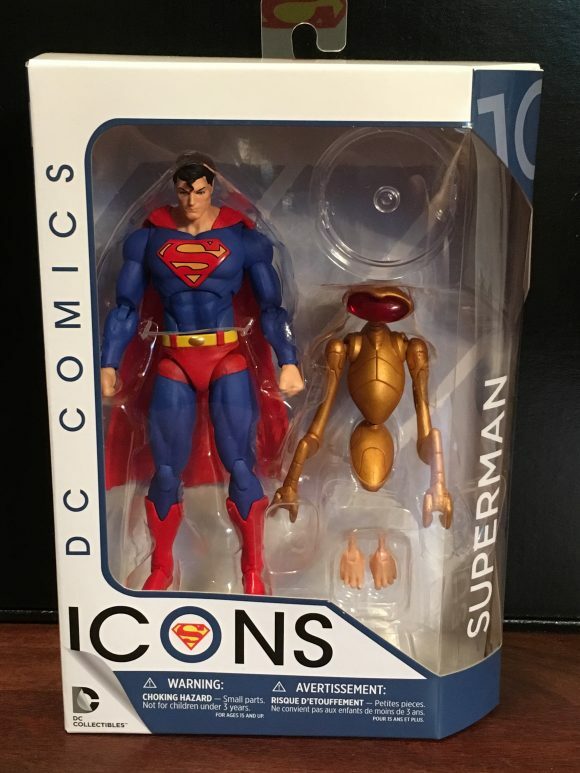 Icons is an interesting line. 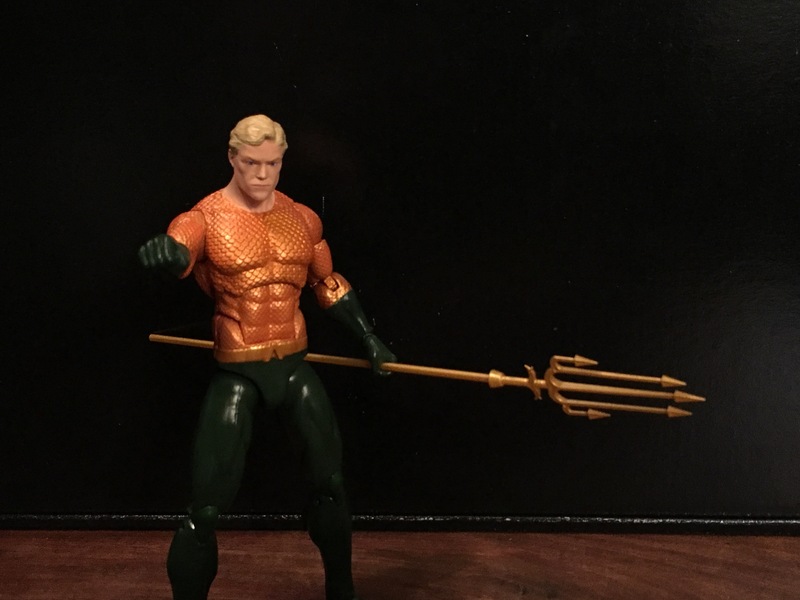 Even though the 6-inch-scale figures were designed by artist Ivan Reis, they’re based on how characters looked at a specific point in time, mostly from the past 30 years. The conceit is that the figures represent specific stories but that’s not really the case. 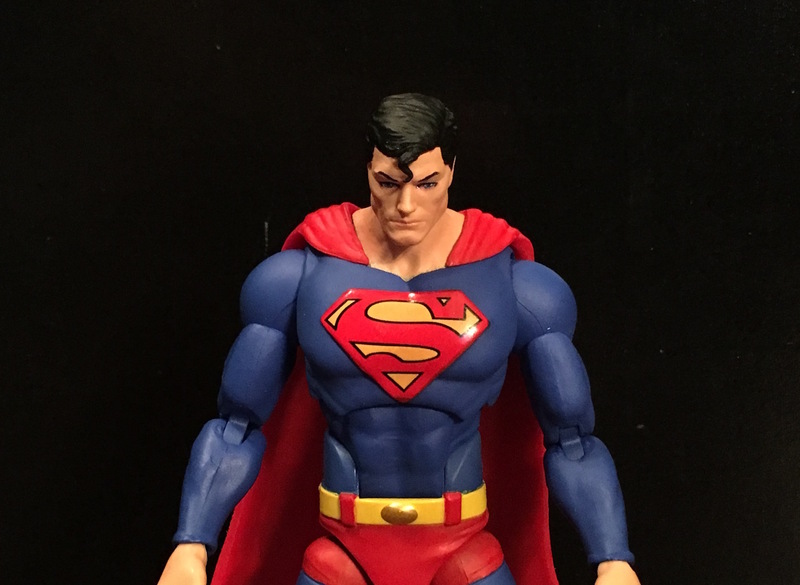 Superman is a very nice figure, all bright blues and reds — including his shorts! Woo hoo! 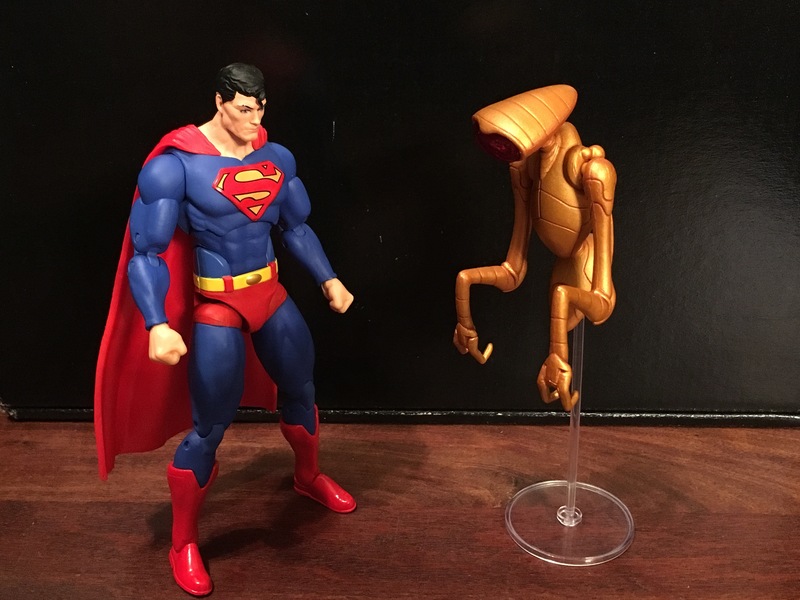 He’s ostensibly from John Byrne’s classic Man of Steel but really, he’s just a generic Superman figure. Like all the Icons figures, Superman’s anointed with outstanding articulation. He also comes with a second set of hands. All three of these figures are due in June, by the way. 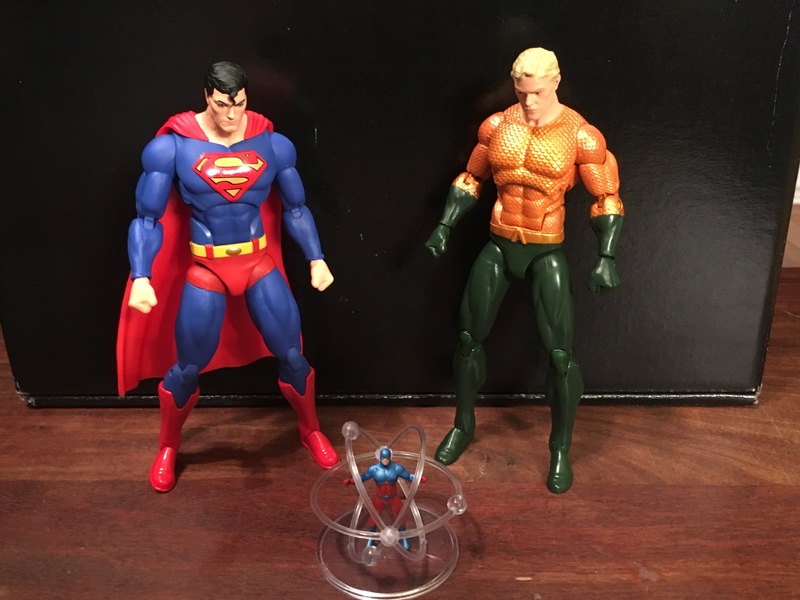 Superman and Aquaman cost about $25 each. Atomica’s a little more at about $30. (Shop around, as always.) There’s a wave including the Joker, John Stewart Green Lantern and Firestorm also headed this way, and Harley’s coming soon, too. Otherwise, again, this is an, ahem, iconic Aquaman, with shiny orange mail, green tights and trident. (Plus second set of hands.) 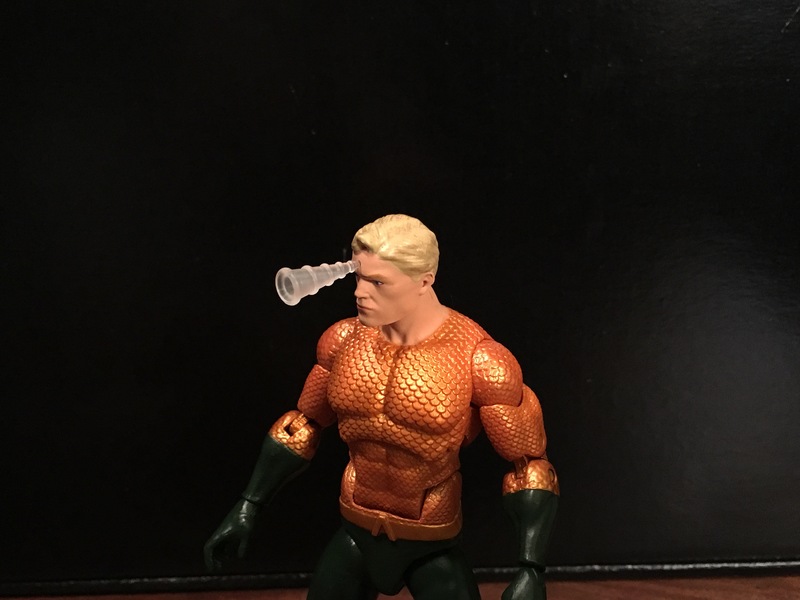 He’s not all that different from the New 52 version, but he’s in the smaller 6-inch scale, so if you’re looking to fill out your Justice League, you gotta have him. 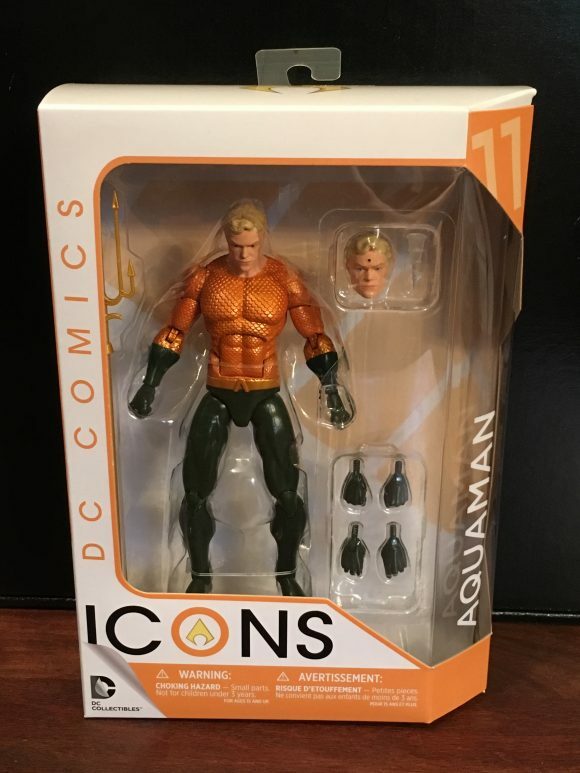 Or you just gotta have him because Aquaman’s pretty damn rad in his own right. I’ll admit it. 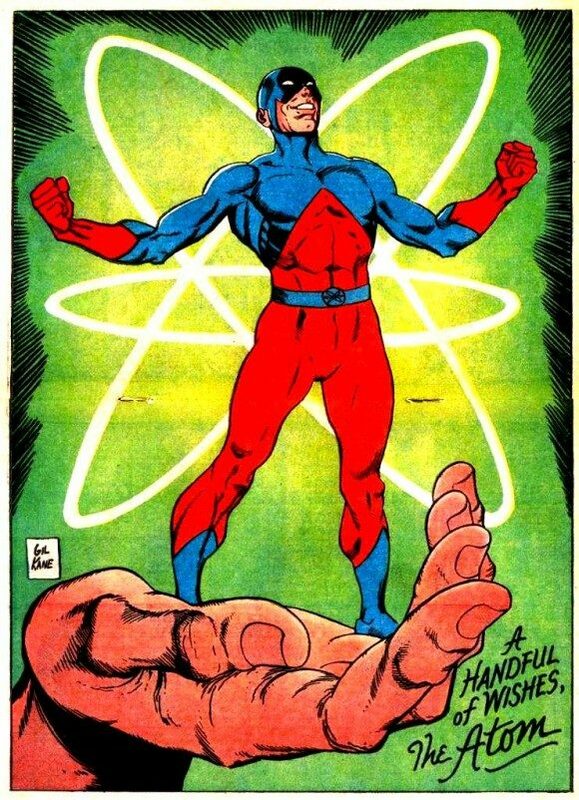 When Johns revealed in Justice League (spoiler alert) that the woman we thought was the new Atom was actually Atomica — the Atom of Earth-3 and a member of the Crime Syndicate — I gasped and laughed. He played me and I bit. Awesome. 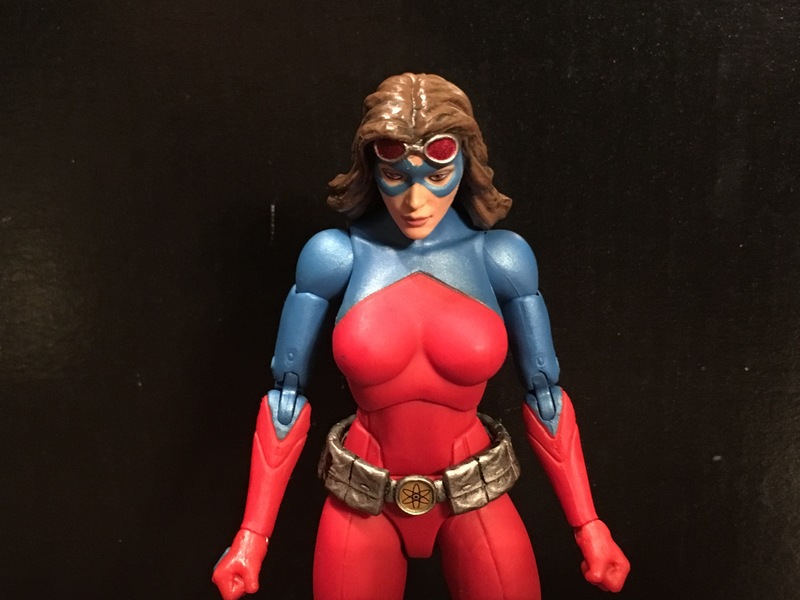 Atomica is the headliner in this set because she’s the one who comes in at the 6-inch size. 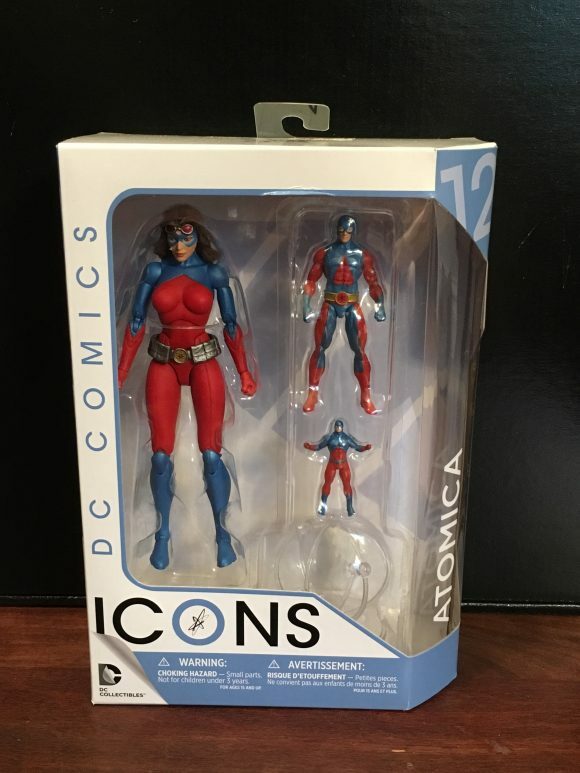 She’s also the first woman we’ve gotten in the Icons line. Ryan Choi, the star-crossed Atom, is next, in a smaller size. 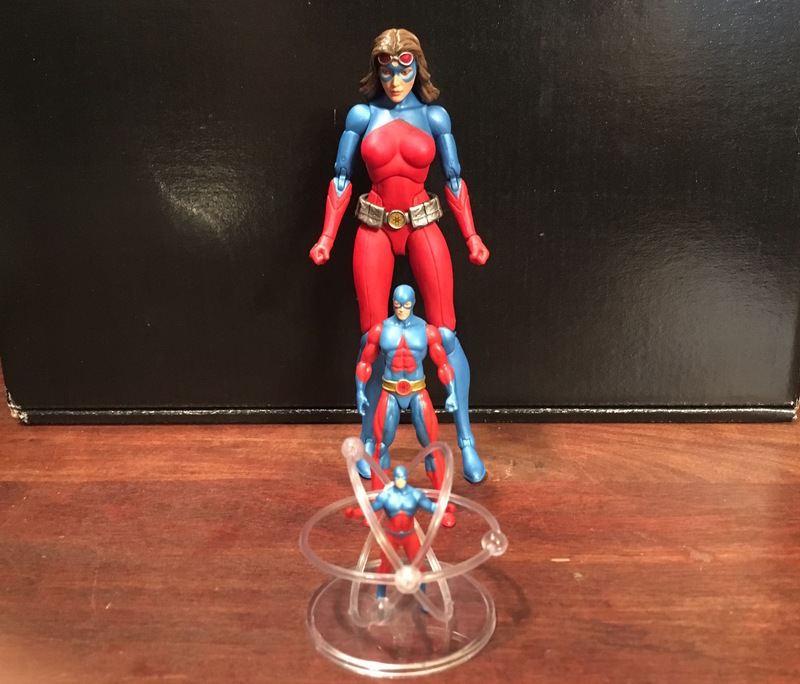 I like the wink that DC Collectibles is giving to fans by not just including three versions of the Atom in this set, but by including them at different sizes. Ryan isn’t a static figure either. You can move his arms at the shoulders, his legs at the top, and his head turns. OK, I’ve saved the best for last. Not just the best of the Atomica set. 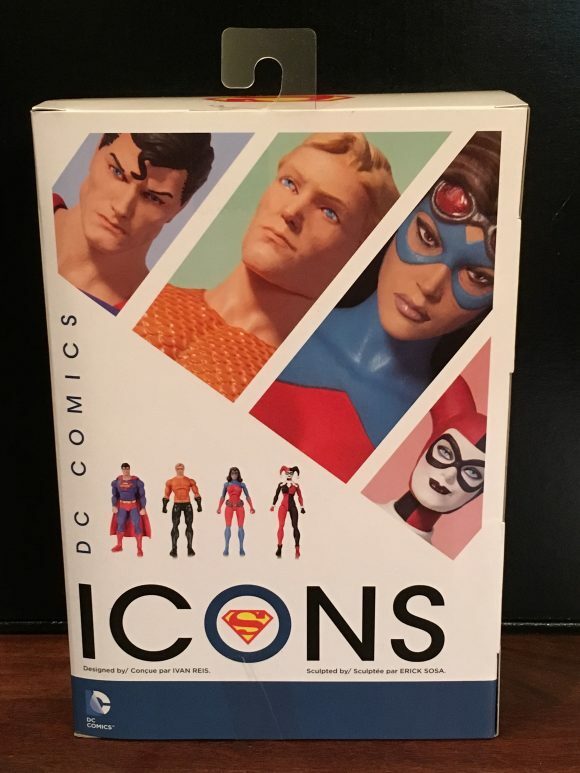 The best of the whole damn Icons line. 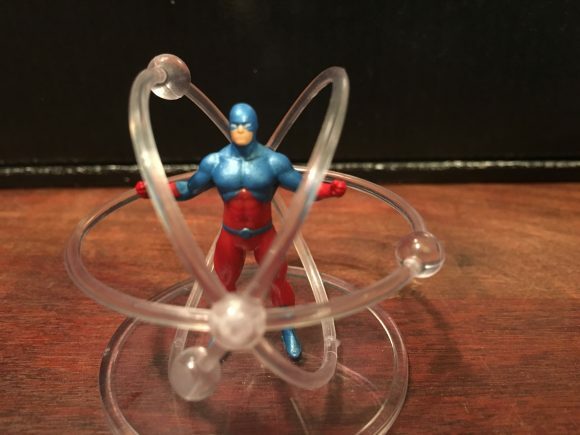 Ray Palmer Atom, complete with swirling electron field. It’s not about the articulation (there’s none). It’s not about size (he’s small). It’s about the inventiveness and the cleverness. Last year, I declared this little guy the “winner” of Toy Fair (click here for that) and I have been waiting ever since to get him in the palm of my hand. Gil Kane would be proud. WOW–that Atom “Palm”-er is a MUST-HAVE-DOUBLE-BAG-ITEM!! !